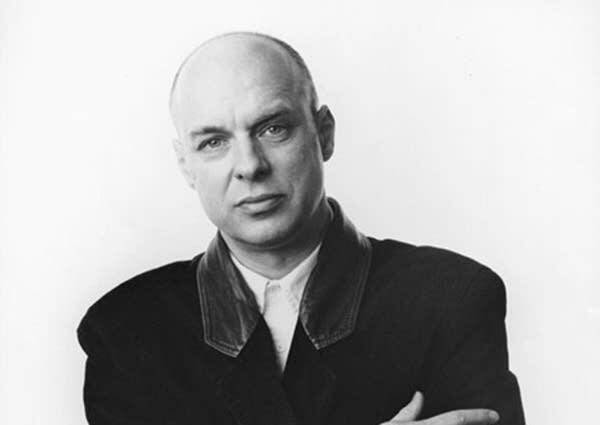 Brian Eno's career as producer, musician, sonic innovator and experimental artist spans four decades. His imprimatur has graced the most aurally groundbreaking records by U2, Talking Heads, David Bowie, Robert Fripp, Devo and many others. He's credited with pioneering the genre of "ambient music," and recently he's even had his hands in creating the "sonic-art" aps Bloom and Spore for the iPhone. Eno sat down with Steve Seel to discuss the recording studio as canvas, the idea of discovery and risk in music making, as well as his recent reunion with longtime collaborator David Byrne. The online version of this interview contains extra material, including a discussion of Eno's career-long forays into "generative music," his concept of composer as gardener, and his ongoing interest in the idea of surrender in music.